carlosfelipeaguiar 8 hours, 57 minutes ago. 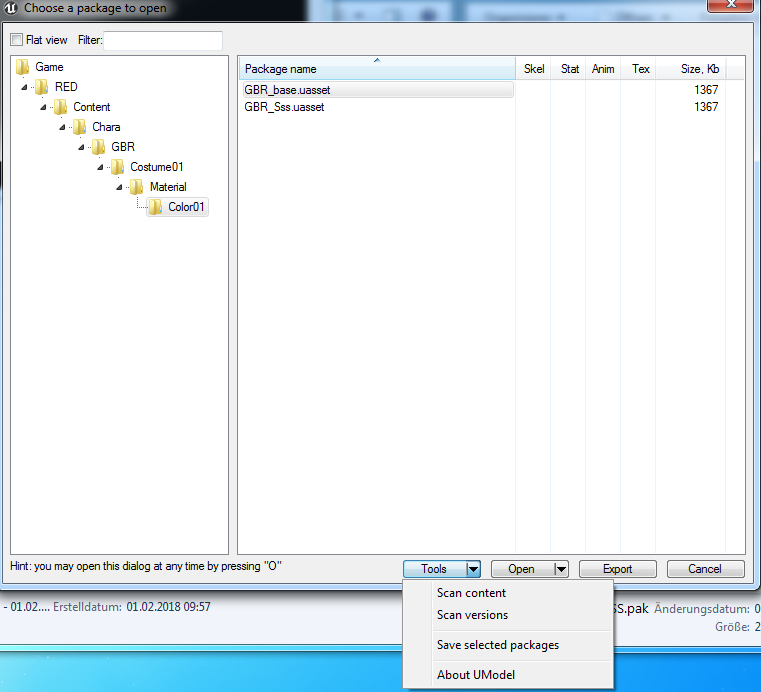 in the window that pops up select all the files and click on Tools->Save selected packages. So this will work if for example i want to have in color 1 goku base, color 2 ssj3 without having to overwrite other mods ? Thx! You can also just rename the ColorXX folder to the slot you want.